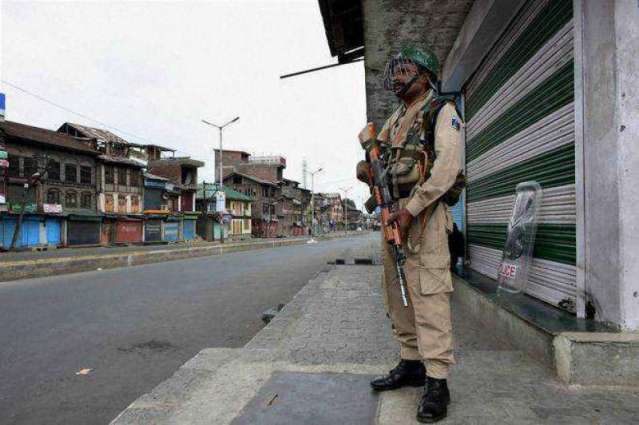 Srinagar, June 21 (KMS): In occupied Kashmir, complete shutdown was observed, today, against the continued killing spree by the Indian troops in the territory. Srinagar, June 21 (KMS): In occupied Kashmir, the All Parties Hurriyat Conference (APHC) has condemned India’s policy of repression and suppression against the pro-freedom people especially youth in the territory. The APHC Chief spokesman, Ghulam Ahmed Gulzar, in a statement issued in Srinagar said that detention of Hurriyat leader, Abdul Qayoom Matto, and eight other persons for participating in anti-India demonstrations in Kishtwar on the occasion of Eidul Fitr was unjustified. He termed the action as the worst form of vengeance. He hailed the people of Kishtwar for their commitment to the freedom movement. Srinagar, June 21 (KMS): In occupied Kashmir, Indian troops have launched a cordon and search operation in Pulwama district. Srinagar, June 21 (KMS): In occupied Kashmir, the people of South Kashmir have a feeling that BJP’s breakaway from coalition with PDP will have a little bearing on the existing ground situation. Srinagar, June 21 (KMS): In occupied Kashmir, the Chairman of All Parties Hurriyat Conference, Syed Ali Gilani, has said that the Kashmiri youth are laying their lives to end the age-old slavery of their people and for the right to self-determination. Srinagar, June 21 (KMS): In occupied Kashmir, Indian Army personnel ruthlessly beat up an ATM guard of Jammu and Kashmir Bank in Shopian district without any reason. Srinagar, June 21 (KMS): In occupied Kashmir, Hurriyat leaders and organizations have paid tributes to the three youth, Danish Khalid, Adil Ahmed and Qasim martyred by the Indian troops in siege and search operations in Pulwama and Kulgam districts. Islamabad, June 21 (KMS): The Chairman of Kashmir Council European Union (KCEU), Ali Raza Syed has said that India cannot stop the Kashmiris’ liberation struggle through use of different brutal methods. Ali Raza Syed said this while addressing a protest demonstration outside the Indian High Commission in Islamabad.